Substitution, New York Red Bulls. Connor Lade replaces Kemar Lawrence because of an injury. Delay in match Kemar Lawrence (New York Red Bulls) because of an injury. Delay in match Oniel Fisher (D.C. United) because of an injury. 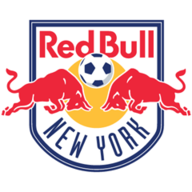 Michael Murillo (New York Red Bulls) is shown the yellow card for a bad foul. Goal! D.C. United 3, New York Red Bulls 3. Bradley Wright-Phillips (New York Red Bulls) left footed shot from the centre of the box to the top left corner. Assisted by Alex Muyl. Goal! D.C. United 3, New York Red Bulls 2. Luciano Acosta (D.C. United) right footed shot from the left side of the six yard box to the high centre of the goal. Assisted by Yamil Asad. Delay in match Aaron Long (New York Red Bulls) because of an injury. Substitution, D.C. United. Zoltán Stieber replaces Paul Arriola. Delay in match Frederic Brillant (D.C. United) because of an injury. Goal! 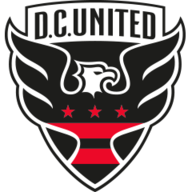 D.C. United 2, New York Red Bulls 2. Bradley Wright-Phillips (New York Red Bulls) right footed shot from the centre of the box to the bottom left corner. Assisted by Michael Murillo. Substitution, New York Red Bulls. Andreas Ivan replaces Daniel Royer. Marc Rzatkowski (New York Red Bulls) is shown the yellow card for a bad foul. Substitution, New York Red Bulls. Alex Muyl replaces Sean Davis. Goal! D.C. United 2, New York Red Bulls 1. Wayne Rooney (D.C. United) left footed shot from the centre of the box to the bottom left corner. Assisted by Oniel Fisher with a cross. Substitution, D.C. United. Yamil Asad replaces Ulises Segura. Attempt saved. Ulises Segura (D.C. United) right footed shot from the right side of the box is saved in the centre of the goal. Assisted by Russell Canouse. Substitution, D.C. United. Oniel Fisher replaces Jalen Robinson. Goal! D.C. United 1, New York Red Bulls 1. Bradley Wright-Phillips (New York Red Bulls) right footed shot from very close range to the centre of the goal following a set piece situation. Attempt missed. Kemar Lawrence (New York Red Bulls) left footed shot from the centre of the box is too high. Attempt missed. Kemar Lawrence (New York Red Bulls) left footed shot from outside the box is too high. Assisted by Sean Davis. Attempt missed. Kemar Lawrence (New York Red Bulls) left footed shot from outside the box misses to the right. Assisted by Marc Rzatkowski following a corner. Goal! D.C. United 1, New York Red Bulls 0. Paul Arriola (D.C. United) right footed shot from the centre of the box to the bottom left corner. Assisted by Luciano Acosta with a through ball. Attempt missed. Alejandro Romero Gamarra (New York Red Bulls) left footed shot from the centre of the box misses to the right. Delay in match Marc Rzatkowski (New York Red Bulls) because of an injury.